Value and truly relaxing summer holidays at it’s best. Hotel Muses is a small and cozy family run hotel conveniently located on a quiet street in Sozopol, 150m from the beach and the Black sea. Experience the quiet and relaxing atmosphere of The Muses hotel while having quick access to Sozopol nightlife and sightseeing opportunities in close proximity. Indulge yourself with a swim in the pool, have a delicious meal in the restaurant or just relax with a drink or a book. Our philosophy is to offer our guests not only a quality accommodation and inspiring vacation, but the real feeling of a home away from home experience. 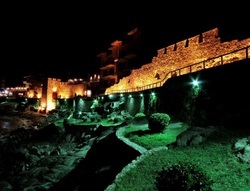 Sozopol into the top three of the most desirable places for tourism in the world. It was nominated by the World Council for Tourism and travel destination of 2015. The city that keeps the relics of St. John the Baptist, compete for first place with Ljubljana and the coast of Taiwan. The winner will be known on 15 April in Madrid.